Happy Spring you guys! 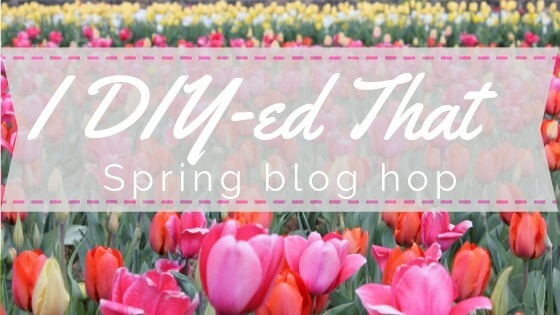 Today I’m joining up with some of my blogging friends for a spring “I DIYed that” blog hop. 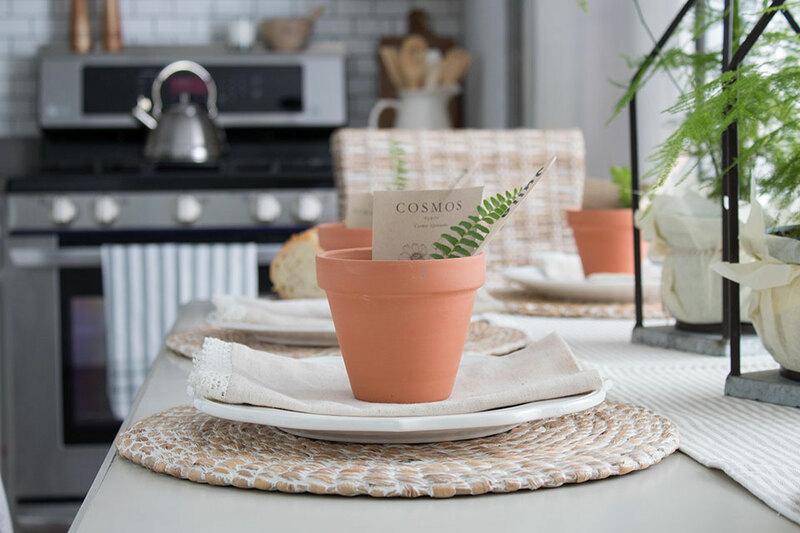 Mine is more about spring table decorations than a DIY project, but I did fit in one cute little DIY idea. When we entertain, we always keep it pretty casual. For my spring table, my first thought went to ferns this year. I used two fern plants in these metal lanterns* as my centerpiece. The lanterns come with glass holders for candles but my dog knocked one of them over and broke it. Which kind of worked out because I’m liking how these look as plant holders. When it’s time to eat, I can just move those off to the side to make room for the food. Here’s a better look at the plants. These are called asparagus ferns. I’m hoping they are easier to care for than my maidenhair fern. I tried my absolute best to keep that maidenhair alive but unfortunately, nothing worked. 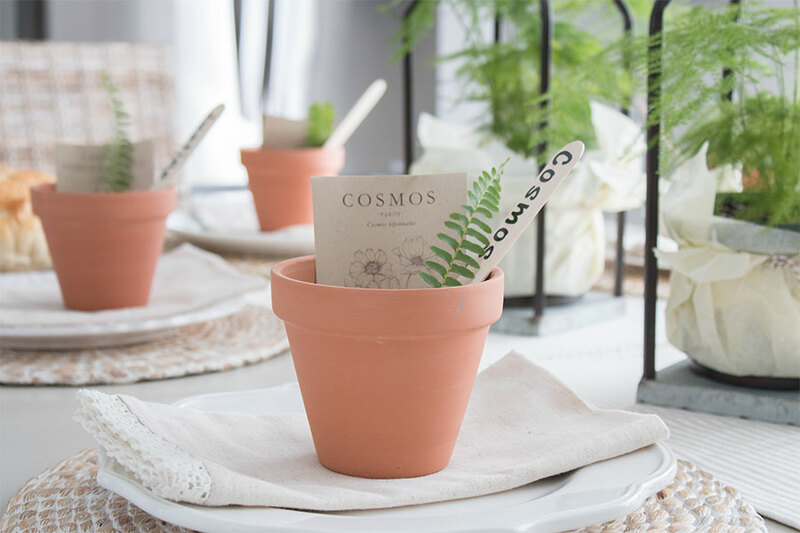 For each place setting, I used a small terra cotta pot with a packet of flower seeds inside. If you want to be the hostess with the mostess you can take it one step further. I used popsicle sticks (these are extra wide) as place markers. For each stick, I put the name on one side, and flipped it over and added the name of the flowers on the other side. This way the stick can be used as a plant marker when the seeds get planted. Pretty cute, right?? 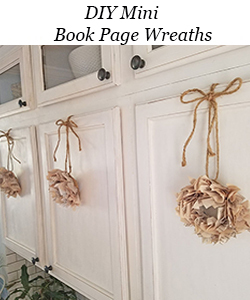 This idea would also work for party favors, hostess gifts, etc. I used my Cricut machine to make the lettering on these sticks, but you could write it with a marker if you don’t have one of those machines. My handwriting isn’t too pretty so I took the extra time to make those. 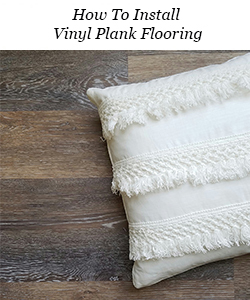 I just bought new sisal plate chargers, these have a whitewashed finish that I love. I like them so much better than the darker ones I had before. 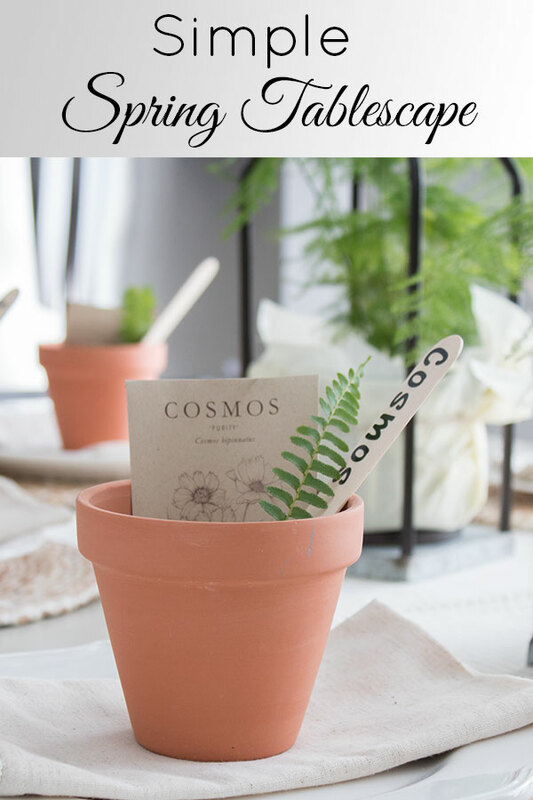 In each terracotta pot I also added a sprig from another fern that I bought just to make it a little bit cuter. 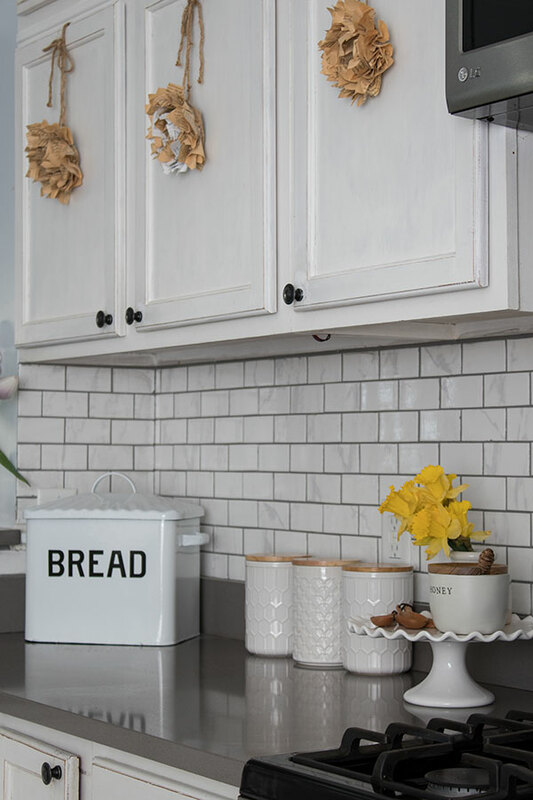 I added a little pop of spring on the counters with these Daffodils. They smell amazing, I never realized before just how good Daffodils smell. I’m looking to replace my old mason jar canisters with a new set. I really love these canisters with the wood lids (they’re useful for so many things!) but they’re a little too small for my k-cups. And how cute is that little honey pot I found? 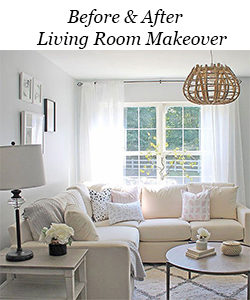 Thanks to Jen from Noting Grace for organizing this blog hop! 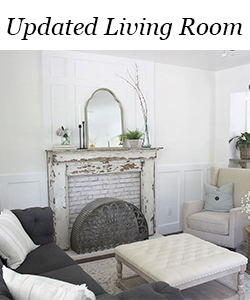 Stop by the blogs below for lots more spring inspiration! *May contain affiliate links, read my full disclosure here. Roxanne ! This is stunning! 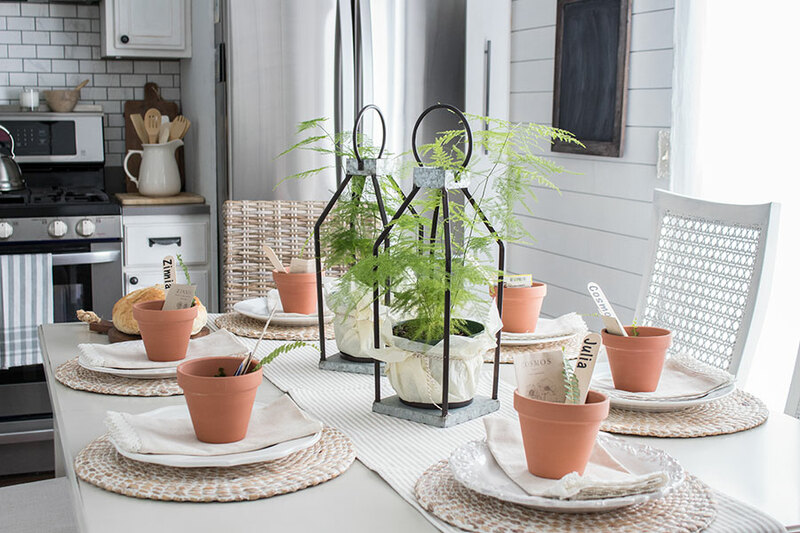 I am loving those asparagus ferns as your centerpiece. And those place settings are so very beautiful! Thanks so much for joining us for I DIYed that! I am honored you did! So very beautiful Roxanne! 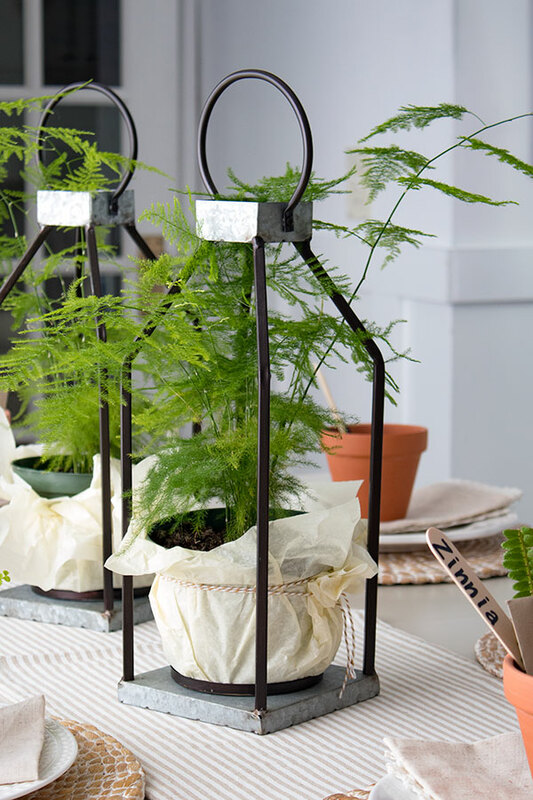 Those lanterns with the fern plants make such a pretty anchor pieces! And your kitchen always stops me in my tracks! Happy spring! 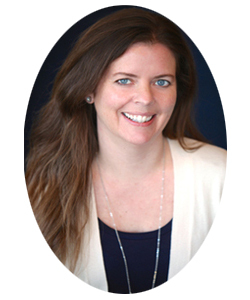 Thank you, Kendra! You are too kind! Every details is to die for. Love love love the popsicle idea. 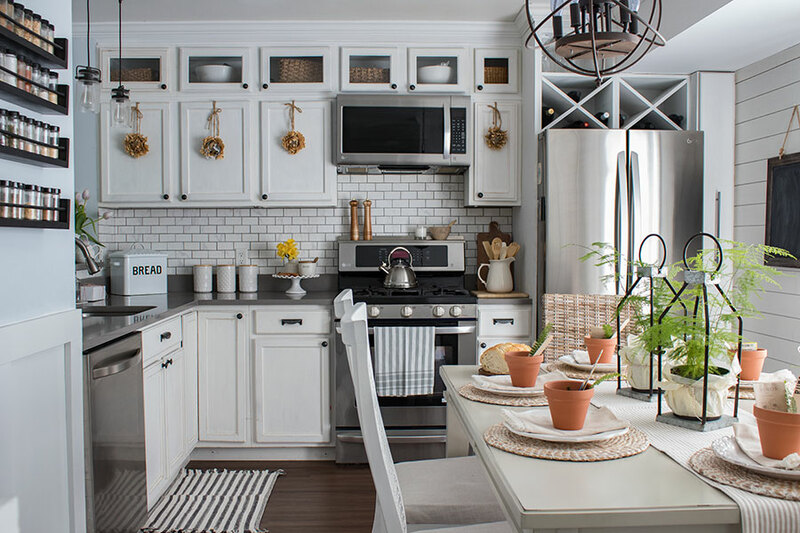 Also your kitchen is goals!!! This is such a great idea. 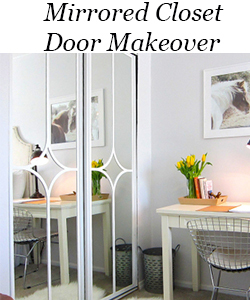 What a great way to make it personal and get everyone in the mood for spring. Thanks for sharing. 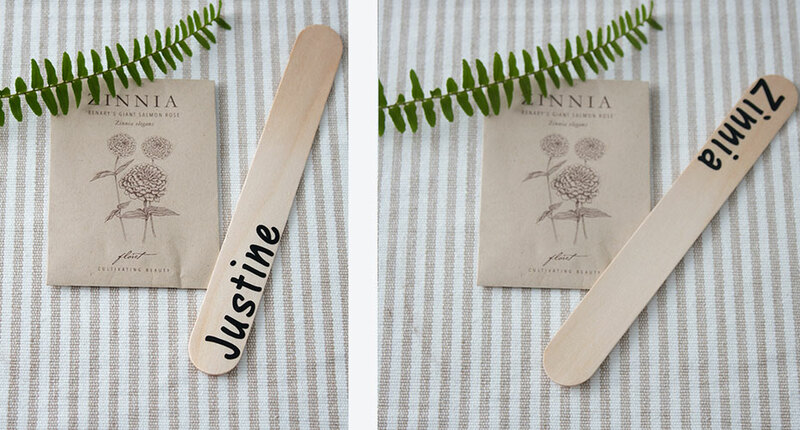 Really cute idea these little placecards/planting sticks! Love the ideas you come up with, Roxanne!!! 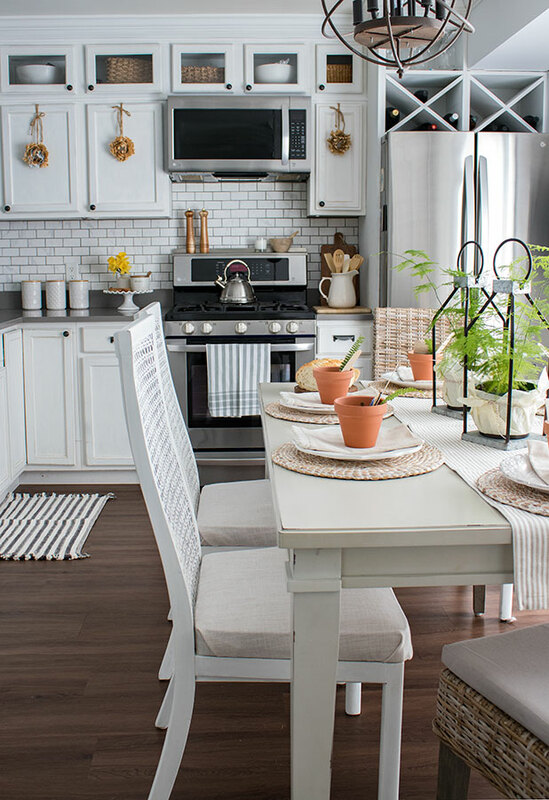 Pinned a bunch of photos… Really love your kitchen! Hubby and are already thinking about repainting these stock cabinets white (our new kitchen is really dark all day as it is north facing).